Protecting garden hoses in style. 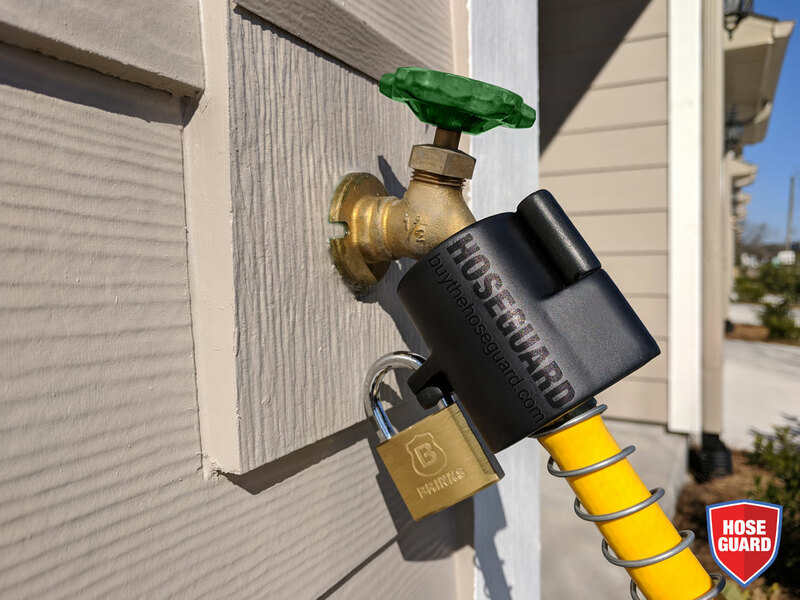 Not only is your garden hose safe from theft or displacement it's now accessorized! Your Garden Hose Stays Put! Fits all standard hose bibs and garden hoses. 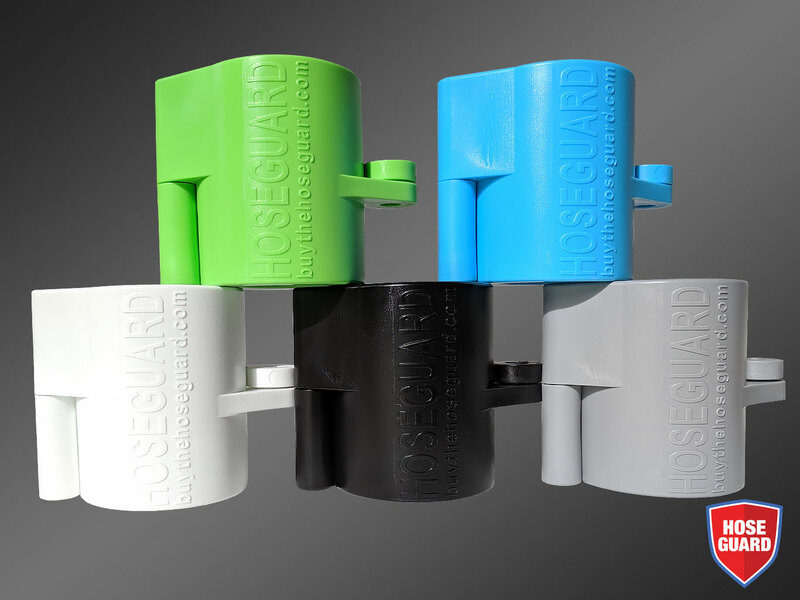 Made of high quality durable materials for long lasting garden hose theft protection. Safe & Secure Checkout provided by PayPal. 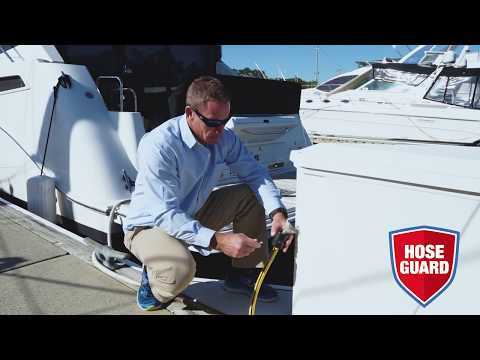 This amazing new product is the boater's new must have lifesaver! Gone are the days when you show up at your slip to find your hose missing. 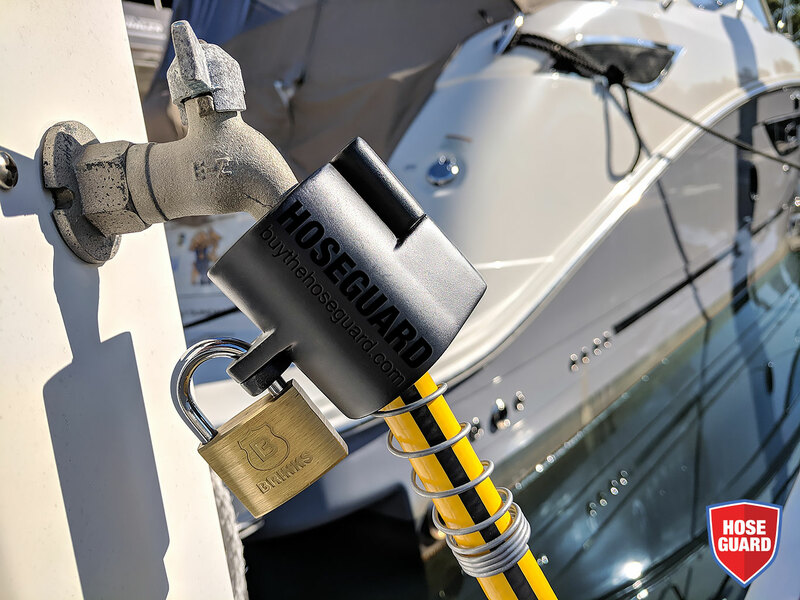 HoseGuard™ is a must have for boaters and marina businesses worldwide. Lock Your Hose Down for Good! Your hose is always there when you need it most. 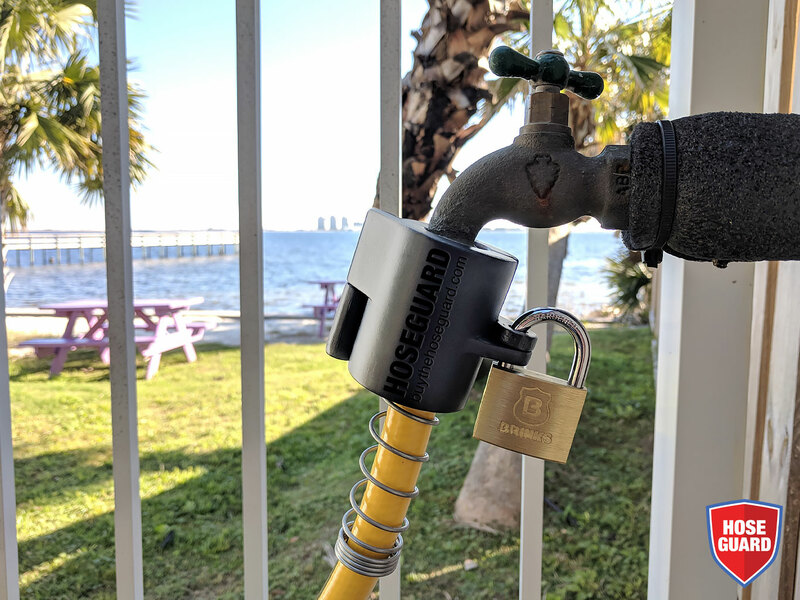 End unnecessary frustration, lost time, and wasted money by locking your hose down at your slip for good. 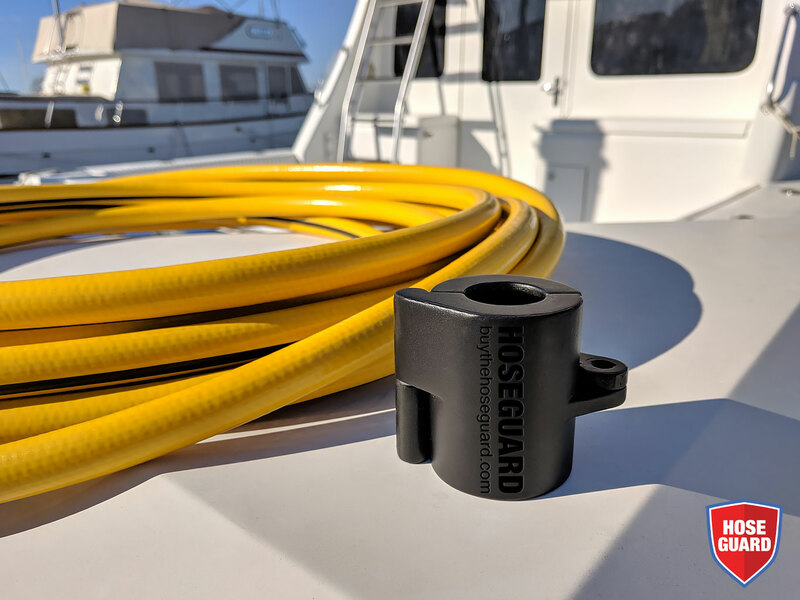 HoseGuard™ is strong, lightweight, and durable. Meet your new travel companion! 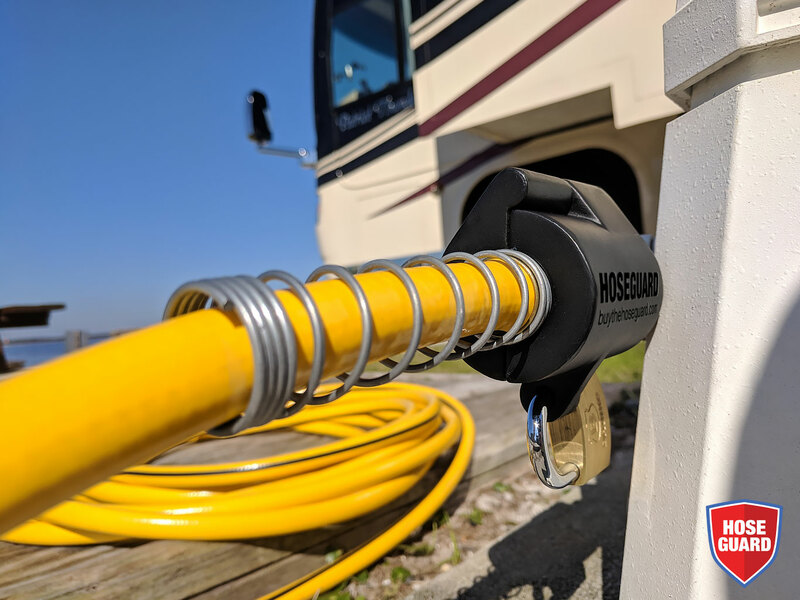 Great for RV parks. 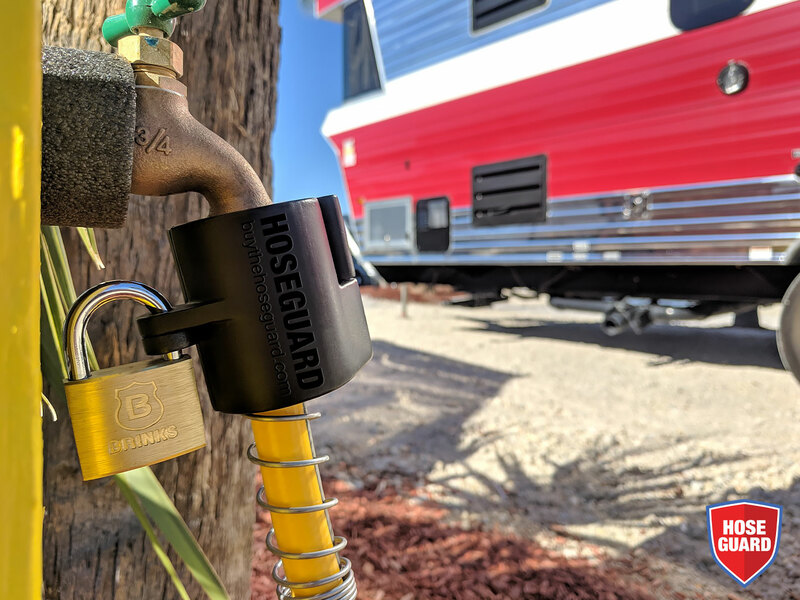 HoseGuard™ is a fantastic travel companion offering 100% stress free trips when you reach for your hose that's alway there. Peace of Mind While You Relax! Be the envy of fellow travelers! 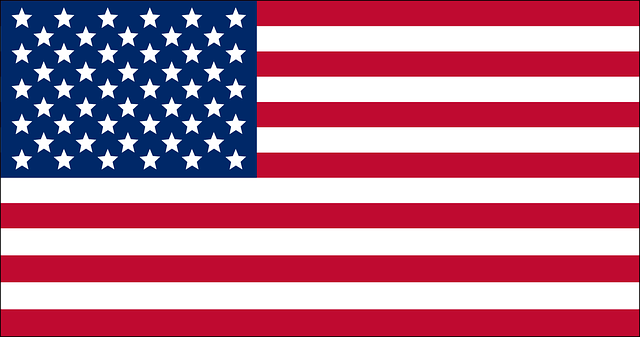 Fellow travelers nationwide stand the risk of losing precious vacation time over lost or stolen hoses. Major bummer. But not you! You get to fully relax having complete peace of mind your hose isn't going anywhere, ever. Let's face it. Time is money. So why waste time replacing hoses on the job site? It can add up to huge losses annually for some companies- Not just the hose replacement cost but the cost in time loss without it. Your Hose Walks no More! 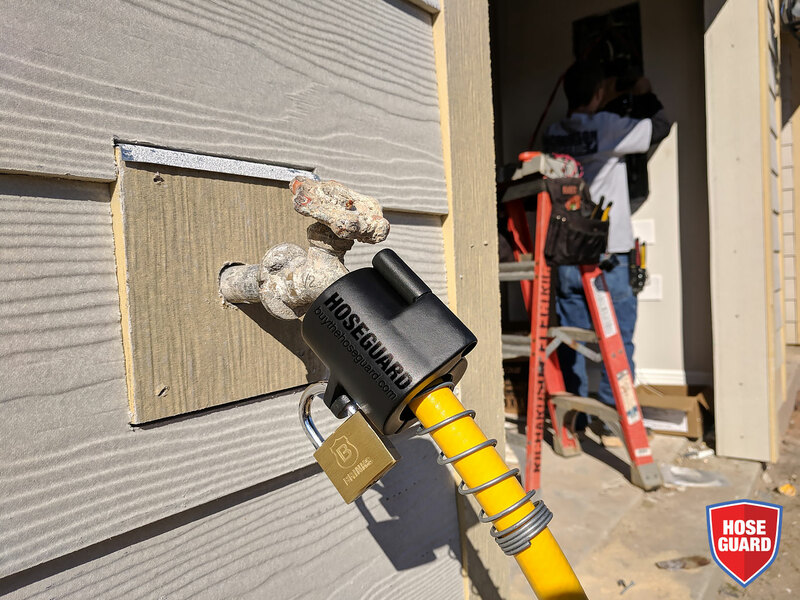 Lock it, forget about it! 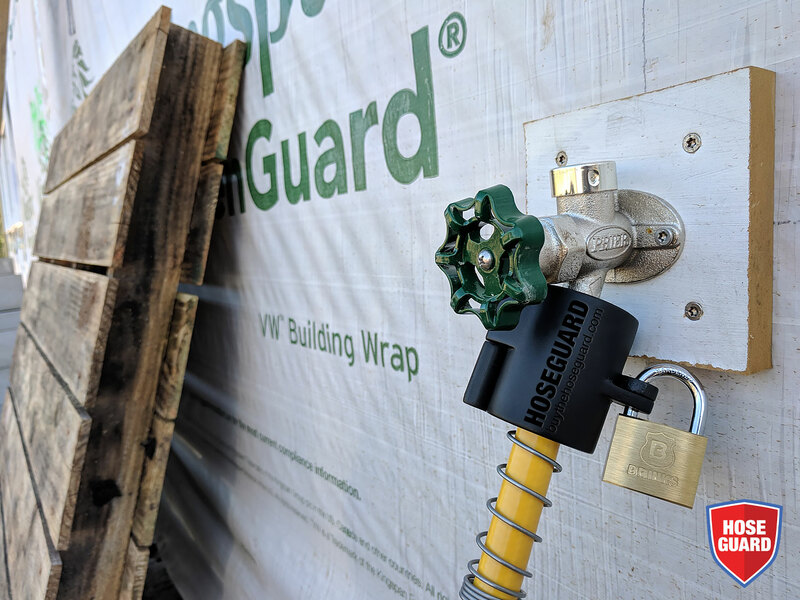 Lock down your hose onsite with HoseGuard™ and get to it knowing your hose is always there at the ready. Ready to clean tools, mix concrete, water sod, clean your boots, or quench your thirst. Lock it and forget about it. We don't realize how important our hose is until it's gone! Home sweet home is not so sweet when your hose goes missing. Whatever the need- washing the car, watering the flowers, cleaning the driveway, water games for the kids- the list is endless. 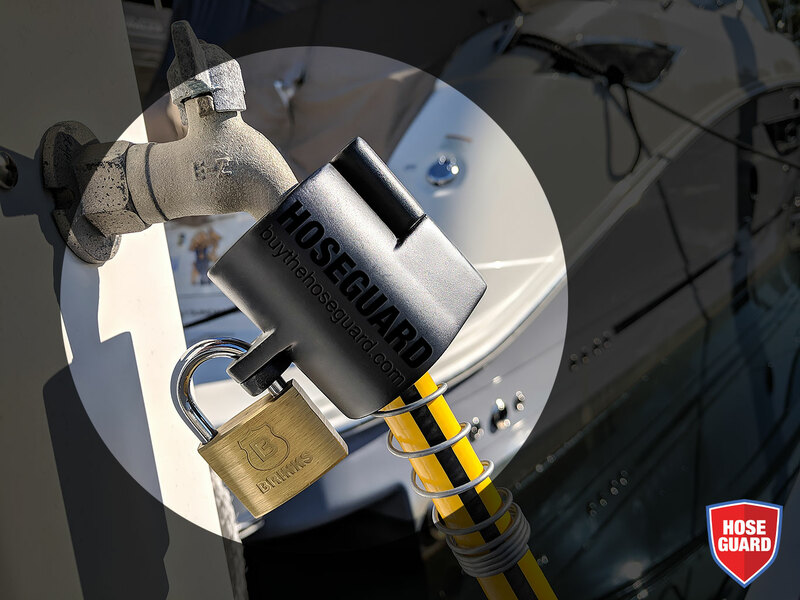 HoseGuard™ keeps it sweet by keeping your hose in place. Your neighbors will be like, what?! No need to keep up with the Joneses when you are Mr or Mrs Jones. 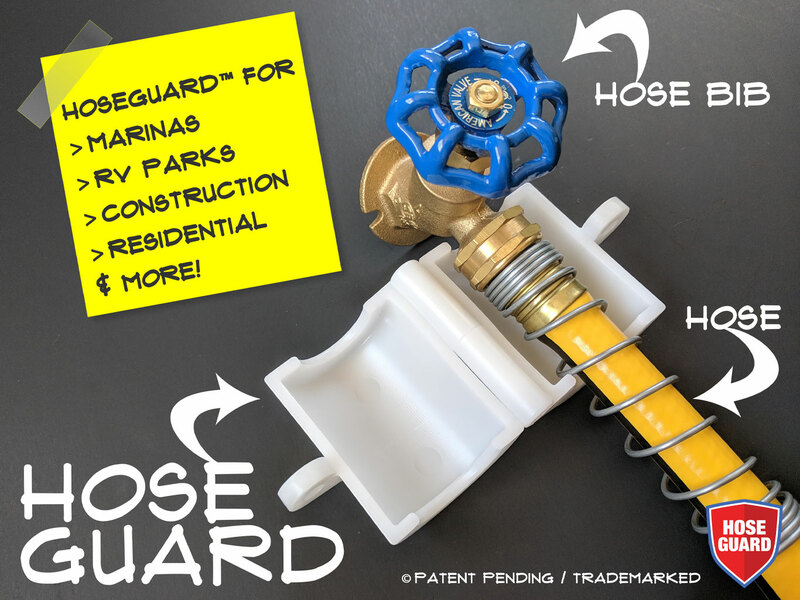 Be the first on your block to sport a HoseGuard™ before everyone on the planet has one! © 2019 HoseGuard™ by Inner Light Concepts, LLC. Site and product photos by SMARTBIZ SEO.